Recipe submitted by Kally Mavromatis. Fennel is grown throughout the Mediterranean and the Unites States. It is a fragrant bulb with feathery stems, both of which are often found in salads. When cooked, fennel becomes very mild and delicate, different from its anise flavor when raw. Slice the fennel bulbs in half lengthwise. Remove the stems and any discolored outer leaves. 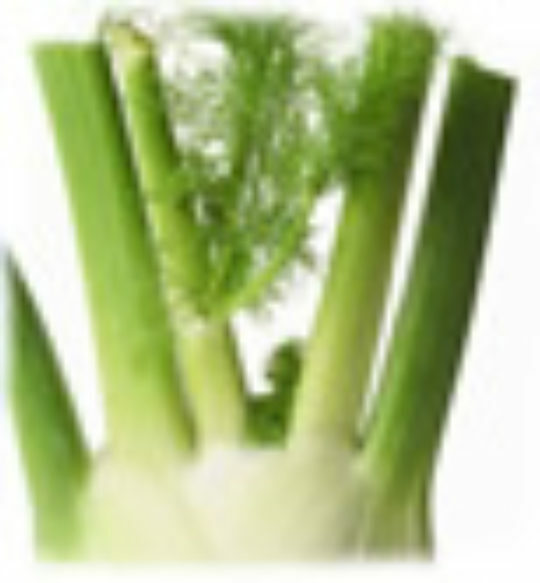 Remove the hard base of the fennel and cut the bulb into very thin slices. Place in the baking dish. Top with the tomato slices, garlic and potatoes. Drizzle with oil, lemon juice, salt (if using) and pepper. Uncover, and stir in the parsley. Continue to bake, uncovered, stirring twice, until the vegetables are tender and cooked through, and the potatoes begin to brown. Serve immediately. Each recipe makes 4 servings. Baker’s Tips: Fennel is a fragrant bulb with feathery stems, both of which are often found in salads. When cooked, fennel becomes very mild and delicate, different from its anise flavor when raw. Here we marry fennel with other vegetables, but it is also good baked by itself with just a hint of garlic and lemon. In fact, you could top this with some white fish fillets for the last 10 to 15 minutes.